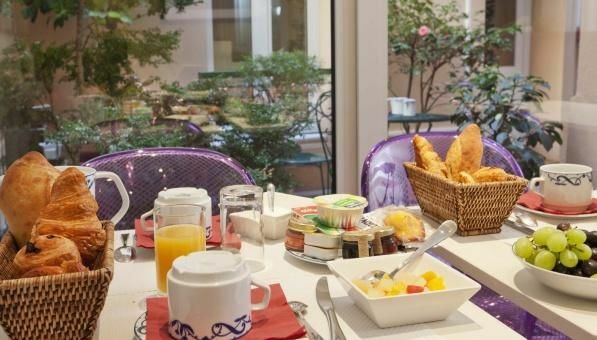 Our hotel offers you a breakfast, which will be served in the privacy of your room, in our cafeteria, or should you wish, in the tree-lined hotel patio when the weather is nice. Comfortably positioned on the terrace, you will enjoy this relaxing time when enjoying the first spells of sunshine of the day. Breakfast is served between 7.00am and 10.00am.